In September 2004, Khanjan Mehta, director of the Humanitarian Engineering and Social Entrepreneurship (HESE) program, advised a student team designing a low-cost windmill for a rural community in Western Kenya. Little did he know it would be his first of dozens of trips to developing countries to build technology-based ventures that improve human lives. 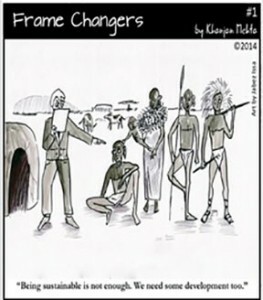 On the tenth anniversary of his engagement with Africa, Mehta has created and launched Frame Changers, a daily cartoon through which he shares lessons learned in the broad areas of sustainable development, humanitarian engineering and social entrepreneurship. He noted that Frame Changers are a variety of funny, satirical, incisive, futuristic, inspiring and hypocritical takes on the array of social ventures he has been involved with through the years: windmills, telemedicine systems, low-cost diagnostics, science education programs, innovation spaces and affordable greenhouses. The first daily Frame Changers cartoon was posted earlier this week. Anyone interested in subscribing can sign up at http://sites.psu.edu/khanjanmehta/framechangers/. Mehta estimates that HESE ventures have touched the lives of more than a million people. Perhaps Frame Changers will, too. Frame Changers is available at http://sites.psu.edu/khanjanmehta/framechangers/ and https://www.facebook.com/HESEFrameChangers. 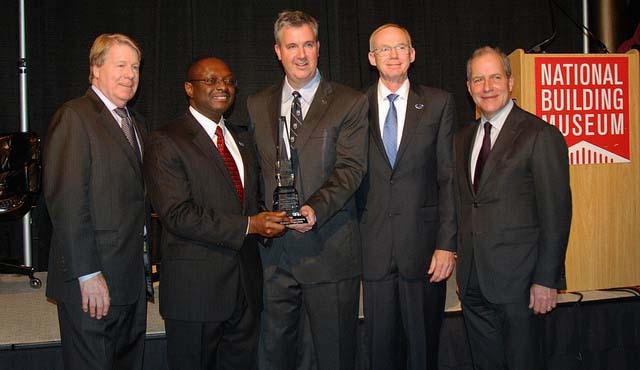 For more information about the HESE program, visit http://www.hese.psu.edu/. Prof. Mehta can be reached at 814-863-4426 or krm209@psu.edu.